Stories like this are so tragic, but it gives us hope that rescues are working tirelessly to improve the lives of dogs all over the world! When a house was recently sold in St. Louis, Missouri, the new owner came into the basement to find that a Pit Bull Terrier was chained in the dark, filthy basement. Unsure how long the poor dog had been there, the owner called the Stray Rescue of St. Louis. According to PEOPLE magazine, who interviewed Natalie Thomson of Stray Rescue of St. Louis, many of the houses in the area had been boarded up, and there had apparently been a squatter living there. As for how long the Pit Bull Terrier had been in the basement, it is impossible to say. What was both touching and heartbreaking, however, is that the Pit Bull Terrier was overjoyed to be rescued. Even after being abandoned and forgotten, she showed no resentment to humans, and was instead filled with happiness to see them and to be given another chance. The cutie was so wiggly and happy that she was later dubbed "Jumping Bean", named for the Mexican Jumping Bean that jumps and hops around when warmed. 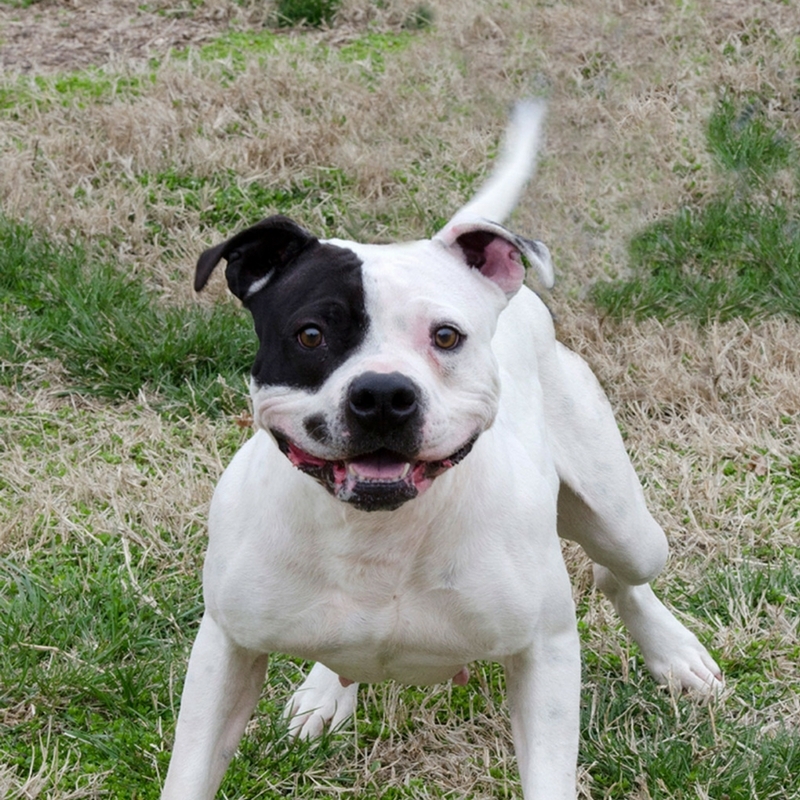 The three-year-old Jumping Bean is now at the Stray Rescue of St. Louis, and is up for adoption! Please consider donating to the rescue to help them continue to save others like Jumping Bean. If you'd like to adopt Jumping Bean herself, you can! Look her up here. Check out the video of Jumping Bean's rescue below. Credit for this story goes to the Stray Rescue of St. Louis. Photo credit by PEOPLE Magazine.